Experiential learning through place-based maritime education. We offer a variety of hands-on learning opportunities for school groups and individual students. Schools can pick from several options and design a program that works for them. We’re here to help design a program that works for you. Contact School Program Manager Nancy Israel at 360.385.3628 x109 or nancy@nwmaritime.org. 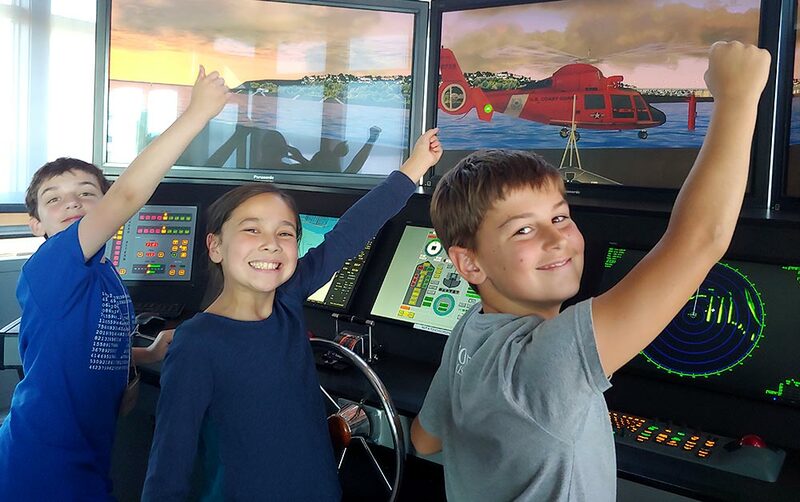 New maritime classes for homeschoolers ages 8-12 years old! Join our experienced educators for engaging STEM focused activities. Sign up for individual classes or all the entire series. For more information contact: Nancy Israel, School Program Manager, nancy@nwmaritime.org or 360.385.3628 x109. Activities aboard the boats include teambuilding and problem solving while learning to sail, row, and navigate. Activities ashore include navigation, compass use, knots, history of PNW maritime exploration, and boat shop and maritime trades tours. Programs of 2-6 hours in length are available. Sail, row, build a boat, and learn maritime skills during 2-5 day intensive programs at the Northwest Maritime Center. Sleep on-site in our spacious meeting rooms and participate in maritime activities including evening programs. Group sizes of up to 40 students can be accommodated. Other lodging options are available. Join us for 2-10 day maritime voyages. Explore local Port Townsend waters, circumnavigate Marrowstone Island, or sign on for a San Juan Islands expedition. Students build cooperative, leadership, and maritime skills on voyages of exploration and discovery. Sail, row, and navigate aboard historic longboats and other sailing vessels with licensed captains. 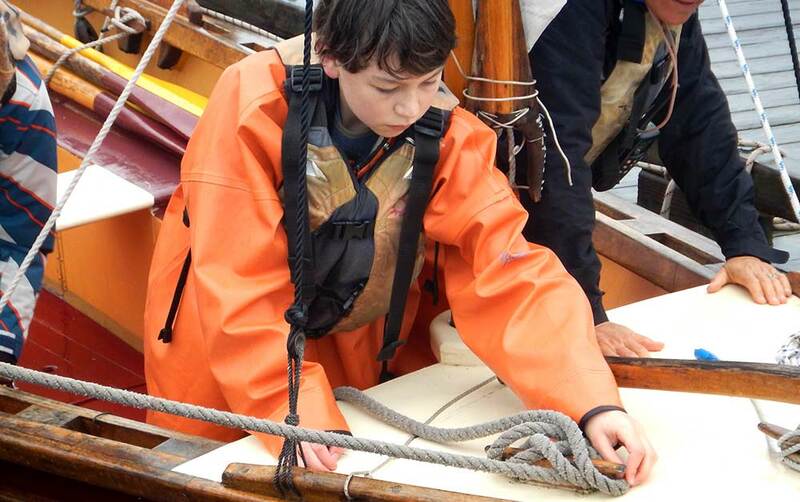 Learn nautical skills and marine science, and develop confidence and teamwork skills. Longboats are replicas of 19th century ships’ boats that up to 12 students row and sail together, offering a window into the maritime history of our region. 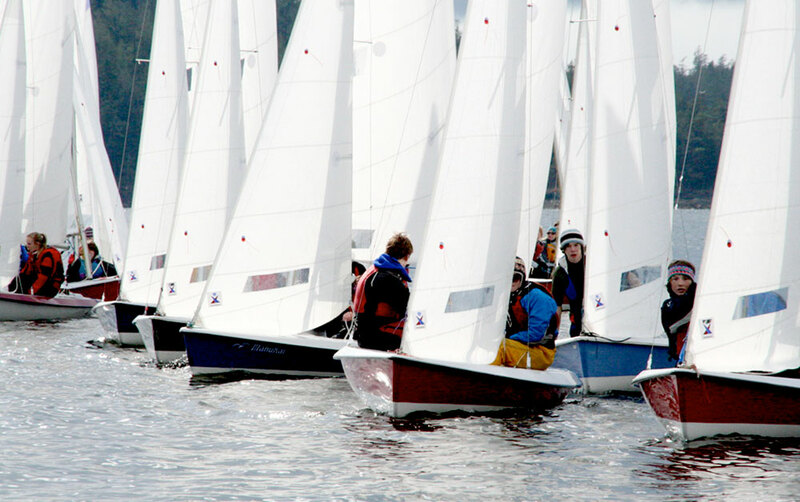 Our other sailboats provide hands-on experience with all aspects of sailing for up to 5 students at a time. 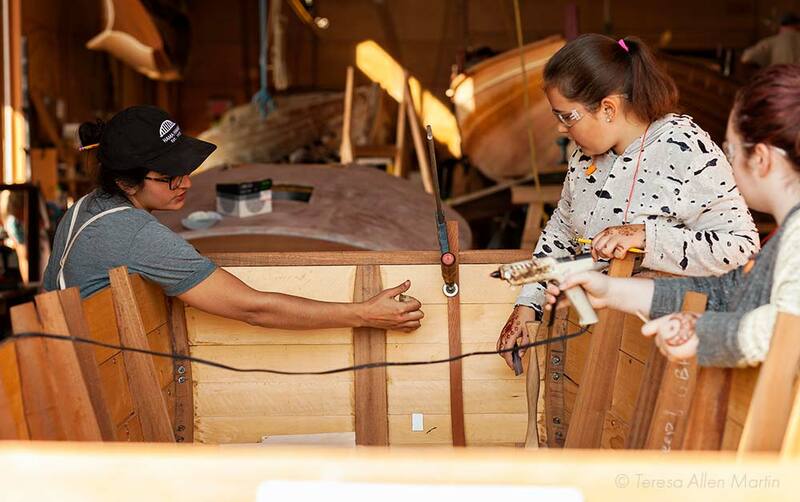 Build a Skunk Island Skill or a ‘Nuf under the guidance of an experienced boat builder in our boatshop. Groups of up to five students can work on one boat. Multiple boats can be built at a time. The Skunk Island Skiff is a 12-foot, 140 pound row boat that can be easily handled by a novice rower. The ‘Nuf is a featherweight dory that is paddled like a kayak. It is 9-1/2 feet long and weighs 30 lbs. Either boat can be built in 4-5 days. Come to the NWMC to learn and explore the skills’ of a mariner. Learn about the history of the region while participating in hands-on activities that engage the students in learning STEM subjects. We offer a variety of topics for land-based classes that utilize our classrooms, Pilothouse Simulator, and outdoor campus. Options include navigation, compass use, marine science, soundings, knot tying skills, maritime history, and marine trades. "Why can't every school day be like this?" Imagine your students taking the helm of a 100-year-old tall ship, assembling the skeleton of a gray whale, and rowing and sailing aboard a historic longboat. Partnerships with other local organizations provide opportunities to fully engage students with our rich regional resources in a captivating and rigorous learning environment. Sound Experience sails the historic 101’ Schooner Adventuress to educate, inspire, and empower an inclusive community to make a difference for the future of our marine environment. PTMSC, located at Fort Worden State Park, offers hands-on experiences in the marine sciences, and features a marine exhibit with local animals in aquariums and touch tanks, as well as a natural history exhibit highlighting scientific investigation and conservation. "I was so happy when I heard our school was doing this program because I want to build and sail my own boat someday." We offer programs for individual students as well. 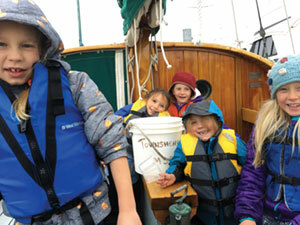 Girls Boat Project is a NWMC program run in conjunction with the Port Townsend School District. Students gain skills and have fun in the maritime trades, both on and off the water. They learn woodworking and boatbuilding techniques in the fall and winter, and receive longboat training in the spring. The program culminates with an overnight sailing adventure. The program is led by female role models skilled in boatbuilding, woodworking and sailing from the Northwest Maritime Center staff. Stay up-to-date with Girls Boat Project by following their blog. Contact Chrissy McLean at chrissy@nwmaritime.org or 360.385.3628 x113. Sea Scouts is a year-round co-ed Boy Scouts of America program. For over 100 years Sea Scouting has promoted better citizenship and improved members’ nautical skills through instruction and practice in water safety, boating skills, outdoor, social, service experiences, and knowledge of our maritime heritage. Sea Scouts can advance through a number of ranks culminating in the Quartermaster rank, which is equivalent to Eagle Scout. Youth learn nautical and leadership skills, and put those skills into practice as they plan and execute cruises and projects. Contact Skipper Ron Lynn at dad@lynntribe.net or 559.308.0772. 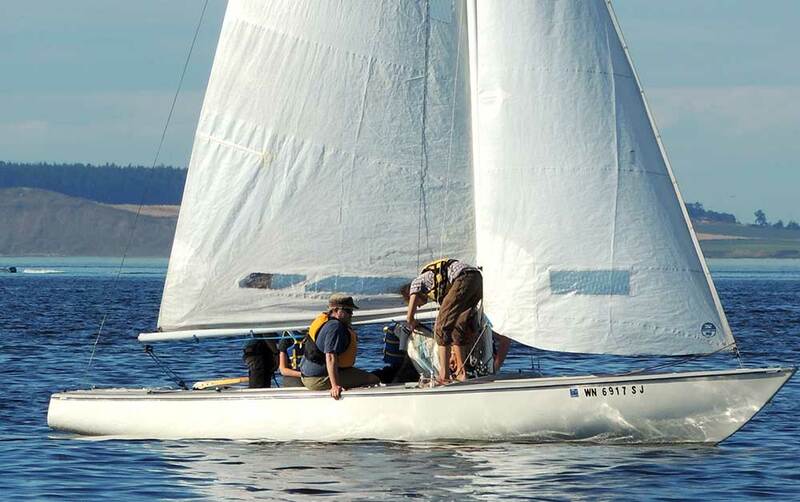 The Port Townsend High School Sailing team is an extremely successful and positive program which has sent some of our local sailors to district and national competitions. They sail in the spring, on Vanguard15s, FJs and Lasers. 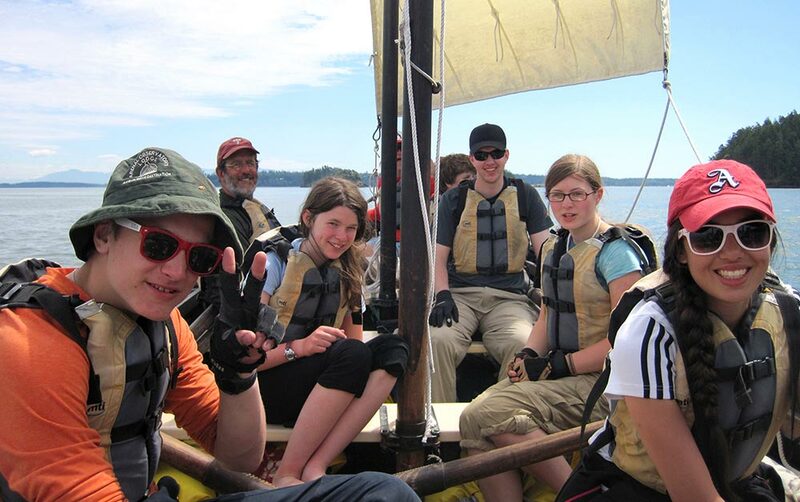 Their motto is, “Sail Fast and Have Fun!” Many team members become sailing instructors in our summer youth camps. Contact Robin Mills at robin@nwmaritime.org or 360.385.3628 x103. We’re proud to be involved in other school initiatives in our community! Classroom lessons coupled with hands-on learning both on and off the water bring classroom subjects to life in the Maritime Discovery Program: science through the study of weather and local wildlife; mathematics through nautical chart use and plotting speed, distance and time; engineering through boat building; social studies through mapping and historical research; language arts through maritime nomenclature and poetry; and art through illustrations of indigenous species and mythological sea creatures and making hand-bound sailor’s books. 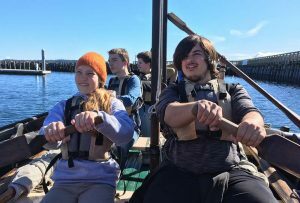 Students learn seamanship and teamwork as they row and sail in longboats, replicas of the 18th century historic vessels in which Capt. Vancouver explored the Puget Sound. 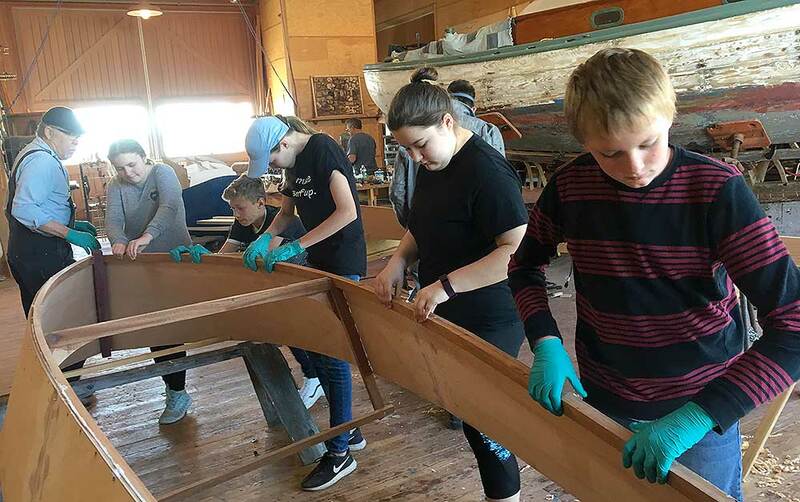 They build a small skiff in our Boatshop that they then launch at the end of the program, and they tour local maritime trades businesses, where they get a glimpse of the maritime industry and the potential for maritime careers should they choose to pursue more in-depth maritime learning. Our community came together and asked, “Shouldn’t all schools be like that?” The 7th Grade Maritime Discovery Program thus became the inspiration and model for the Maritime Discovery Schools, an initiative to connect all grade levels and subjects to our community’s unique maritime environment and economy. To learn more about the effort to create the nation’s first maritime school district, click here. 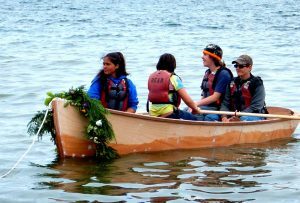 Bravo Team is a longboat seamanship, team building, and environmental learning program that lasts the entire school year. 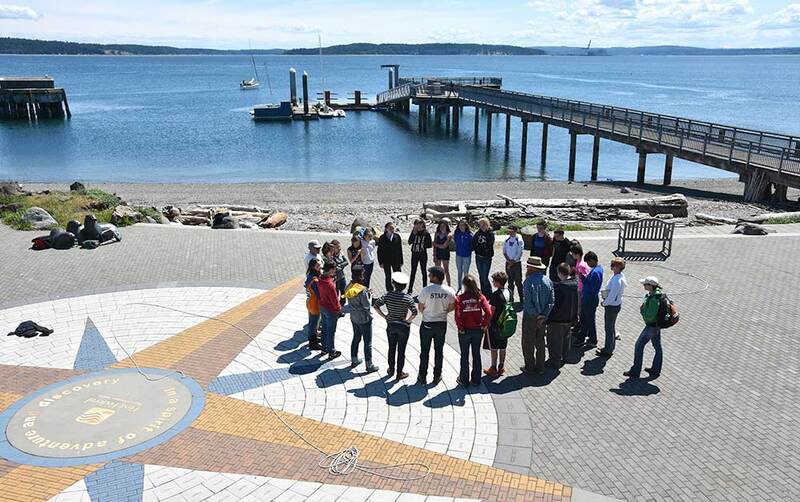 Students are from the OCEAN program of Port Townsend School District. 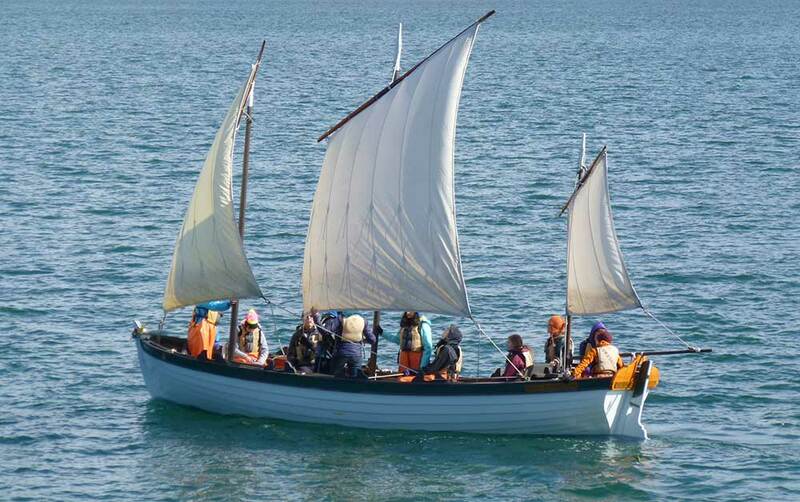 They work together to voyage on Port Townsend Bay, maintain the longboat, and learn about marine trades and the natural history of the Salish Sea. They culminate the year with an overnight voyage. To follow along with their activities during the year, visit the Bravo Team Blog. Contact Nancy Israel at 360.385.3628 x109 or nancy@nwmaritime.org.